When Neeraj Pandey and Akshay Kumar collaborate, they never fail to impress. Brilliant performances, power-packed scripts, remarkable messages – this is what they are known for. Now, the duo is back with Toilet: Ek Prem Katha. First things first, who would want to watch a movie named Toilet in the first place? But trust me, it goes from zero to 100 real quick. 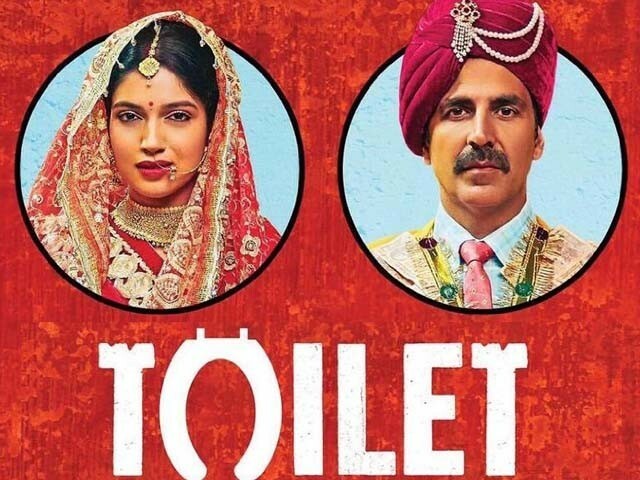 From dealing with major issues of sanitation to the problems of defecation in open areas, Toilet brings a lot of India’s present day concerns to the big screen. Not only does the movie deal with social issues, it also critiques Narendra Modi’s government and takes subtle digs at his demonetisation program. Maybe it wasn’t loved by all audiences, but one thing you can say about the movie is that it conveyed a powerful message. 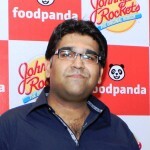 Toilet revolves around the life of a 36-year-old manglik, Keshav (Kumar), who is married to a cow. Keshav meets Jaya (Bhumi Pednekar), falls in love with her, a series of dramatic and humorous incidents follow suit (because what’s a Bollywood movie without them?) and they finally get married. This romantic build-up between the two characters is slightly unnecessary as it takes away from the main theme of the movie. The morning after their wedding, some neighbourhood women invite Jaya to join their ‘lota party’, that is to go along with them to the fields for defecation. This is when Jaya finds out that the house has no toilet. And her reaction is hilarious to say the least. From that moment onward, the film takes a dramatic turn as the absence of a toilet becomes a constant point of discord in Jaya and Keshav’s marriage. To make things even juicier, Jaya parts ways with Keshav and goes home with the intent that she will not come back until he builds a toilet in their house. Kumar takes Toilet to a whole new level with his performance. He plays Keshav’s character with utmost ease and delivers his dialogues with a complete understanding of the character, making it relatable to the masses. I think that’s one of the reasons why Toilet resonates so much with the ordinary viewer – the fact that it deals with real human problems in a universal manner. Pednekar already proved that she is an excellent actress in Dum Laga Kay Haisha and delivers an impactful performance once again. Amongst the younger lot of actors, I feel Divyendu Sharma has the best comic timing. He is impressive throughout the movie and makes his presence felt. Supporting actor Sudhir Pandey has done a wonderful job as Kumar’s father. Furthermore, Anupam Kher too plays an effective role, as always. But let’s be honest, Kumar is the real reason everyone is going to watch the movie. Toilet has a superb score. The songs are related to the mood and subject of the movie and help take the audience deeper into the story. Songs like Gori Tu Latt Maar, Jugaad and Hans Mat Pagli are my personal favourites and give an overall good vibe to the movie. The lyrics are also pretty effective and are in tandem with the narrative. The dialogues of the film are rib-tickling, applause-worthy and smartly written. Direction wise, Toilet is extremely impressive as it highlights the matter with clarity and without deviating from the focal point. You could say that the film checks all the right boxes – it critiques society, it critiques the masses, the politicians and the underlying problems in India – yet it fails to come across as a big Bollywood hit. It has all the elements that could make it an epic production that is both educational and entertaining, but it teeters around that line, not really shifting here or there. So in turn, it leaves the viewer’s questioning its execution. Although the acting is good, as is the cinematography and the subject, there’s just something lacking. I do believe that it takes a lot of courage to come up with a story about taboo issues and for that, I applaud the team behind Toilet. No matter what its flaws are, this movie is still a must watch because it breaks a lot of barriers and makes you question your beliefs. Toilet is the kind of movie that highlights a serious issue sprinkled with humour to keep things light. It is what you could call the perfect sugar coated medicine to treat the illnesses in society. What makes the movie even better is the fact that it is a family entertainer and paisa vasool (your money’s worth) movie.